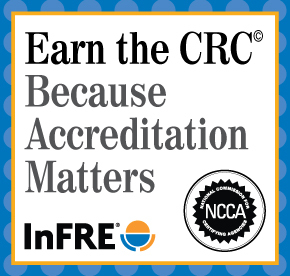 The CRC® Board of Standards and Policy Development recently adopted a change to the number of assessment questions required for self-study continuing education (CE) credit. Effective April 1, 2019, the number of assessment questions required has been changed from ten questions per full CE hour to five questions per CE hour and three questions for additional half-hour increments. The purpose of the reduction in assessment questions required is to align with recently established financial planning industry and certification program best practice. CE credit will be based on the average completion time of the program. 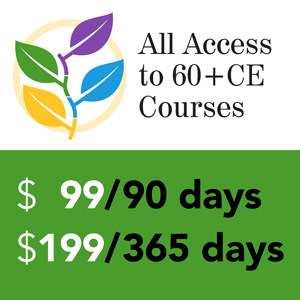 A minimum of 50 minutes of completion time is required for 1 hour of CE credit. Additional half-hour increments will be accepted after the first hour has been completed. Program must include an exam/quiz graded by the sponsor and the Certificant must attain a passing grade of 70% or better. The exam/quiz must contain at least 5 questions per course hour and 3 questions for additional half-hour increments. No credit will be granted for an exam/quiz with less than 5 questions. True-false and fill-in-the blank questions are not acceptable question formats. 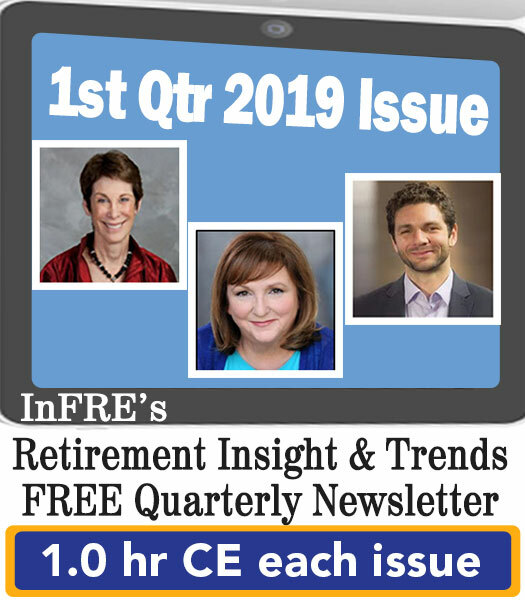 You may access past Retirement InSight issues in the side bar of this page. The number of assessment questions for all 2018-19 issues have been reduced to reflect the new policy.